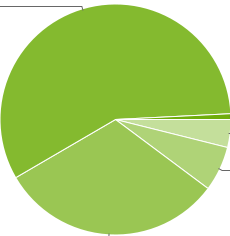 Gingerbread represents around 1% of the Android population right now according to Google, which makes sense, as the Nexus S remains the only Android handset being sold with Android 2.3. 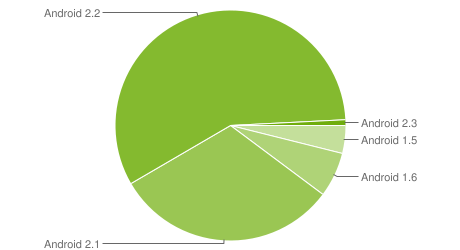 That 1% presumably includes devices running unofficial Gingerbread builds as well, such as Gingerbread AOSP for the Nexus One or Cyanogen Mod 7. Undoubtedly the number will increase in the coming months. With Honeycomb soon being added to the mix, will Google publish separate tablet and phone charts? It certainly wouldn't hurt - adding another version of Android or more into a single visual representation would only give credence to the perception that Android has a major OS fragmentation problem, and that's publicity Google probably doesn't want.